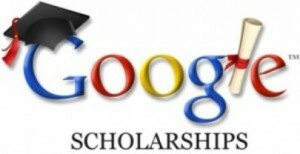 Applications are invited for Google Europe Scholarships for students with disabilities for 2018-2019 academic year. Citizens, permanent residents, and international students are eligible to apply. Scholarships will be awarded based on the strength of the applicant’s academic background, leadership skills and demonstrated passion for Computer Science. Google is committed to helping the innovators of the future make the most of their talents by providing scholarships for Computer Science students with disabilities. As part of our commitment, we’ve partnered with EmployAbility, a nonprofit organization dedicated to assisting students with disabilities while they pursue education and promising careers. Course Level: Scholarships are available to students studying Bachelors, Masters or PhD programme (or equivalent) in 2018/2019 at a European or Israeli University. Study Subject: Scholarships are awarded to students studying Computer Science, Computer Engineering, Informatics, or a closely related technical field. Scholarship Award: Recipients of the Google Europe Scholarship for Students with Disabilities will each receive a €7,000 scholarship for the 2018-2019 academic year. Scholarships will be awarded based on the strength of the applicant’s academic background, leadership skills and demonstrated passion for Computer Science. Intend to be enrolled or accepted as a full time or part time student in a Bachelor’s, Master’s or PhD programme (or equivalent) at a university in Europe or Israel for the 2018/2019 academic year. Citizens, permanent residents, and international students are eligible to apply. Maintain a strong academic record (Please note that mitigating circumstances affecting your academic and work experiences can be taken into account. You should include full details about these in the spaces provided on the application form). Have a disability, mental health or long term health condition (which includes dyslexia, dyspraxia, visual impairment, hearing impairment, diabetes, epilepsy, depression, anxiety disorders, and any other physical or mental impairments or health conditions). Nationality: Citizens, permanent residents, and international students are eligible to apply.